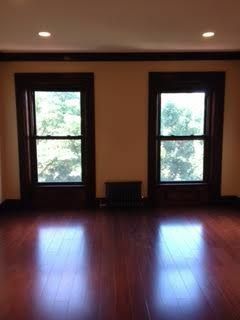 Lovely North Slope apt just steps from 7th Ave! Enjoy the traditional details of this beautifully renovated studio. This unit features cherry cabinets, gorgeous Absolute black granite counter tops, stainless steel appliances, cherry wood floors and amazing recently stripped and refinished wood work and pressed tin ceilings. This Pre-War studio feels so much larger because of the 10 ft ceilings. No Pets/ non smoker. September 1st Occupancy. Short walk to B,Q,2,3 subway lines. For access, contact Lee Levitt (718)964-3382.